In all known cases, this has been caused by faulty manufacturer USB 3.0 drivers and chipsets. In the early days of USB 3.0, in a rush to get it out, some manufacturers issued non-spec chips and unfinished drivers (commonly noticed on the Microsoft Surface 2, for example). 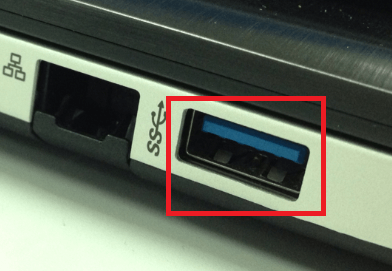 You can identify USB 3.0 ports by their blue inner color. Use one that has a black or white center. Be warned: some manufacturers don't even adhere to this standard. Macbooks don't use blue, and Razor laptops use green. 2.) Use a USB 2.0 hub. Using a USB 2.0 port on a USB 3.0 hub 'knocks it down' back to a USB 2.0 port, which resolves the issue. Sometimes the driver that came with your computer is outdated, and the issue has been fixed in a new version of the driver. Check your computer/motherboard manufacturer's website for an update.